NOVAtime is thrilled to announce that it will be attending the MCIE 2018 Inland Empire Manufacturing Summit, only a few blocks down from its new headquarters, as part of NOVAtime’s mission to reach out to its new community. NOVAtime Technology, Inc. (http://www.novatime.com), a leading provider of cutting-edge Workforce Management / Time & Attendance solutions, is thrilled to announce that it will be attending the MCIE 2018 Inland Empire Manufacturing Summit on February 15th, 2018, only a few blocks down from its new headquarters, as part of NOVAtime’s mission to reach out to its new community. Taking place in Ontario, CA at the Ontario Convention Center, the Manufacturers’ Council of the Inland Empire (MCIE) 2018 Inland Empire Manufacturing Summit is a meeting of manufacturers in the Inland Empire area, while providing them with valuable resources to help them increase sales and improve efficiency. NOVAtime will be there, showcasing its premier Workforce Management / Time & Attendance and giving away NOVAtime mousepads for attendees who fill out a brief survey. NOVAtime is also thrilled to meet some of its local business neighbors and further establish itself in the local community. NOVAtime’s attendance at this Summit is just the latest step NOVAtime has taken to further establish itself in the community and find ways to give back. NOVAtime has already donated to local high schools in the nearby communities of Montclair and Ontario and helped with fundraising, as well as attended its first Rancho Cucamonga Chamber of Commerce meeting. “NOVAtime is thrilled to attend the 2018 Manufacturing Summit and meet some of the excellent local businesses in our area and we will continue to find new ways to reach out to our local community,” said Brian Harris, VP of Client Services. With over 20,000 customers, NOVAtime is headquartered in Rancho Cucamonga, California, and has become the leader in integrating Workforce Management solution with Human Resource and Payroll systems. Known for its scalable and leading-edge software and hardware technology, NOVAtime has been selected as the preferred Workforce Management / Time and Attendance solution provider by many of the best-managed companies in the world. NOVAtime Workforce Management / Time & Attendance solution has been Plynt Application Security Certified since 2008. 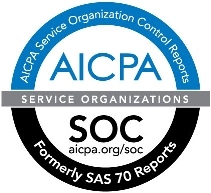 NOVAtime Technology, Inc. is SSAE16 Type II Compliant and uses SSAE 16 Type II Certified Data Centers. NOVAtime Technology, Inc. has been a certified Microsoft Gold Partner since 2009.